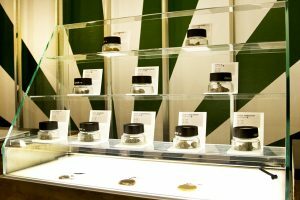 The Maryland Medical Cannabis Commission is set to decide who the winners of the dispensary applicants will be on November 21. These dispensaries are the retail shops where medical marijuana patients will be able to purchase their medication. Licenses were awarded to the cultivators and processors of the program this past August. These cultivators and processors will then provide the medication to the dispensaries. The Commission hopes to have medical marijuana accessible at dispensaries by the summer of 2017. The regulations allow for two dispensaries per State Senate district. This means that there will be a total of 94 dispensaries set to open within Maryland. There were over 800 applications that were submitted in November of 2015. The applications were then graded by the Regional Economic Studies Institute of Towson, who examined numerous factors such as security protocols, training policies, industry experience, and safety procedures. The commission voted this past Friday on a system to select dispensaries that would consist of matching dispensary applicant to Senate districts based on their application grades and preferred locations. The Commission will vote on November 21 st to award dispensary winners, but has 10 business days to actually announce the winners’ identities. Due to the fact that there was an overabundant amount of applications submitted, the program has suffered numerous delays and costly set-backs. However, this a great step in the right direction for the program and brings Maryland one step closer to getting the patients the medication that they so rightly deserve.